Interesting book that focuses on a topic so important in the modern age of texting and cell phones. Annica is a witch who is about to come of age. At age thirteen all witches are given their broomstick, the human equivalent to a teenager getting a driver’s license. Today’s parents worry not only about their children paying attention to driving skills, but keeping their hands off that cell phone to answer a call or text while driving. 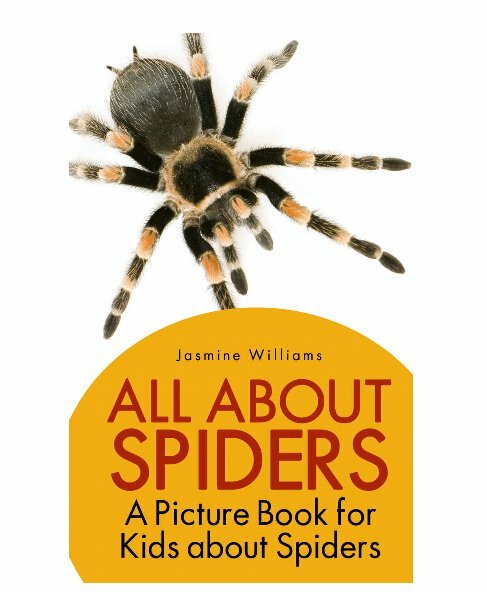 Okay, spiders are not the most endearing or popular creatures. There are more than 43,000 species on earth; they live on all continents except Antarctica. Many people are terrified of them, but only two spiders are actually deadly to humans, The Black Widow and the Brown Recluse. Spiders are arachnids with bodies consisting of two parts. The silken webs they weave are not only used to trap food. The Goliath Bird-Eating Spider is the largest spider and it accomplishes exactly what its name implies. Several spiders are as small as the head of a pin. I learned that a Hawaiian spider is nicknamed the Happy Faced Spider because it seems to be smiling at us. The photos in this book are unique because they are enlarged to display the features written about in the book. Children will have no difficulty understanding the concepts and information. Budding amateur scientists and animal lovers can learn a lot. The author does not shy away from using challenging vocabulary. For this reason, younger readers will need adult explanation, but readers in the seven to ten group should be able to read independently. Recommended for teachers and librarians to include on their research shelves. It may even convert some spider haters. Vicky hates sitting next to Graham in school. He is always bumping into her. Vicky is left-handed and finds it difficult to accomplish simple tasks that seem to come easy for everybody else. She is a klutz in sports and never seems to excel. To make matters worse, everyone seems to make fun of her. Vicky is looking forward to her grandmother’s upcoming visit. She has been busy trying to finish a needlepoint cover as a gift, but even that seems to be coming out wrong. Vicky wants to prove to her grandmother that she is successful, so she and her friend Vicky practice nonstop to win the egg balancing race. Her grandmother will be watching; they are determined to win. An unexpected turn of events leads to a new race being added at the last minute. Will Vicky get a chance to prove to herself and others being left-handed actually be an advantage? I loved this chapter book. Perhaps being married to a left-hander and having a left-handed son has made be acutely aware of some of the everyday problems left-handed people face. 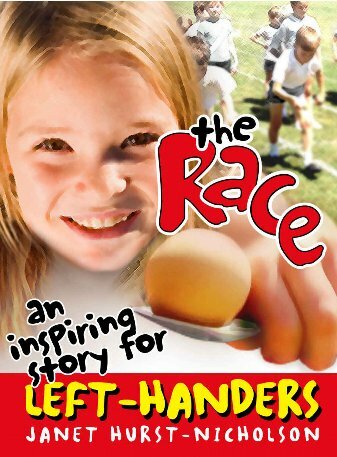 This book presents the problems and enables all of us right-handers to understand how difficult it can be for someone who is a “lefty” to function in a world of right-handed preferences. The world is finally becoming more attuned to the need for left handed tools and devices. Recommend this book highly for teachers, parents and children as a read aloud or a book for families to discuss and share. This book could be a read aloud for young children or a beginning reader for children in the five to eight age range. I definitely would not recommend it for nine to twelve year olds. 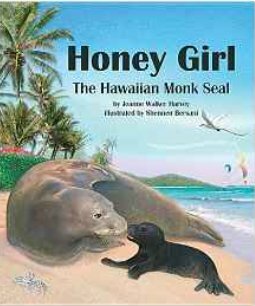 This tale features two dolphin friends named Flip and Aqua who enjoyed mischievous adventures together. Some of the other dolphins became jealous because they were excluded. One day they hatched a plot. They told Aqua that Flip had gone to the seashore to dive for pearls that would become a gift for her. When Aqua goes to search for Flip, she becomes trapped in the rough seas. Little does she realize that somewhere close Flip is searching for her. Will the two friends be able to escape the waves and find their way back to their calm pool home? 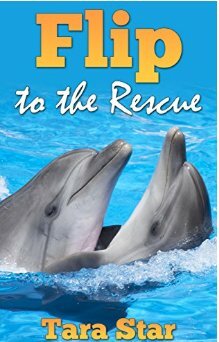 What kind of lessons can Flip, Aqua and the larger pool of dolphin friends learn from this experience? I struggled to decide a rating for this book. My overall impression is three and a half stars. The photos are nice pictures of dolphins at play, but they do not reflect the individual emotions of the friends in this story. On the other hand, young readers may learn the value of not being exclusive, stepping out of the mold, and how to get along with larger more diverse groups. 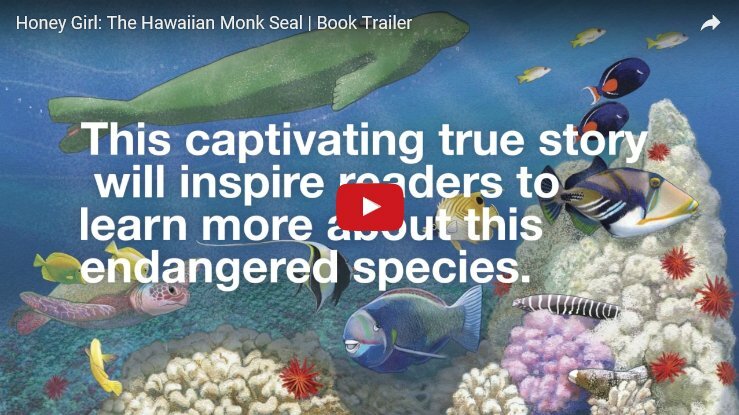 Recommended for young children who enjoy reading about sea creatures and beginning chapter book readers. 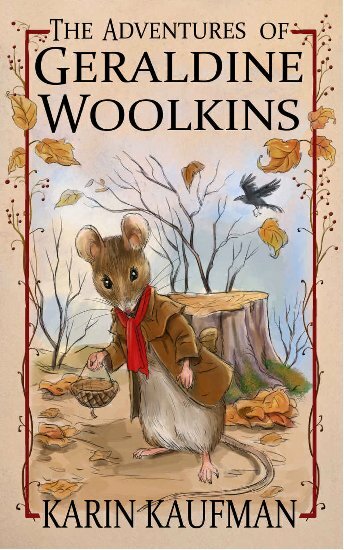 A delightful chapter book consisting of ten stories that revolve around a fearless family of mice facing the dangers and challenges of winter. Geraldine is the protagonist who was born in April, but now in October is facing the end of the gathering season. She and her brother Nigel have much to learn and experience. Readers are introduced to their friends in the forest, Penelope, the sparrow and Cheddar, a white rabbit. The children love to hear their father Nigel read to them stories from the Book of Tales. These adventures teach them about common sense, trust, gratitude, empathy and sharing. As October wanes, the family and friends celebrate Thanksgiving and the joys of Christmas. On the other hand, the children’s curiosity put them in danger of being eaten by wolves and ravens, swept down the river on a log and being destroyed by a forest fire. Charlotte is a sensitive and inquisitive mouse who desires to read, write and explore the world around her. She and her brother share sibling rivalry, but at the same time deeply love and care for one another. Their parents teach them to have faith that Very, Very Big Hands will be there to guide and protect them. 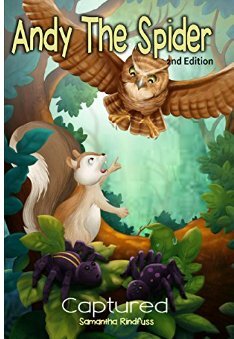 This chapter book is geared toward readers in grades three to six. Some younger children may enjoy individual stories as a read aloud. There are no illustrations; a few simple drawings would add appeal to younger children. I would thoroughly recommend the book as a gentle, sweet read for children who love animals. The many lessons learned and bravery in facing adversity allow for lots of discussion on the topics of developing strong character and interpersonal skills.